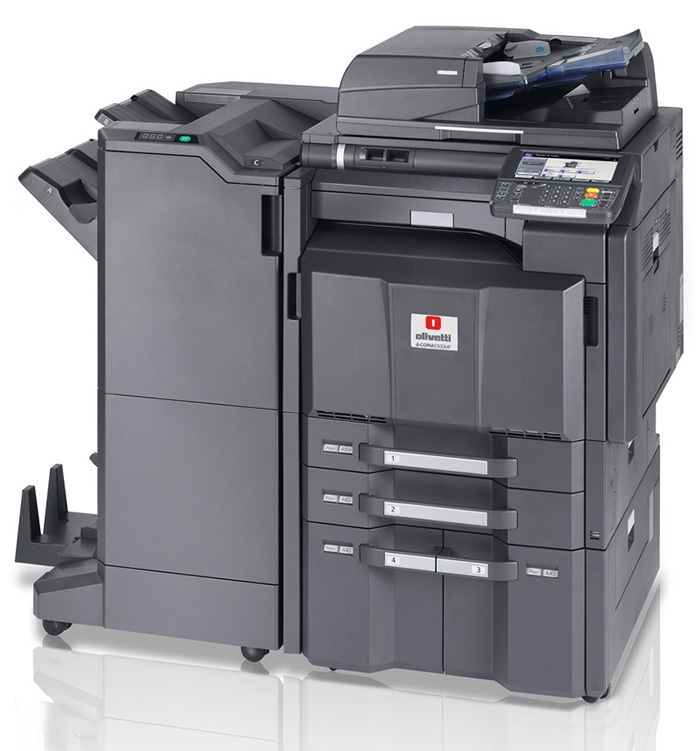 Olivetti’s current range of mid volume models consists of the d-Copia 3500MF PLUS, d-Copia 4500MF PLUS and d-Copia 5500MF PLUS. They implement latest-generation technology and solutions for easy, productive, secure and eco-sustainable use. 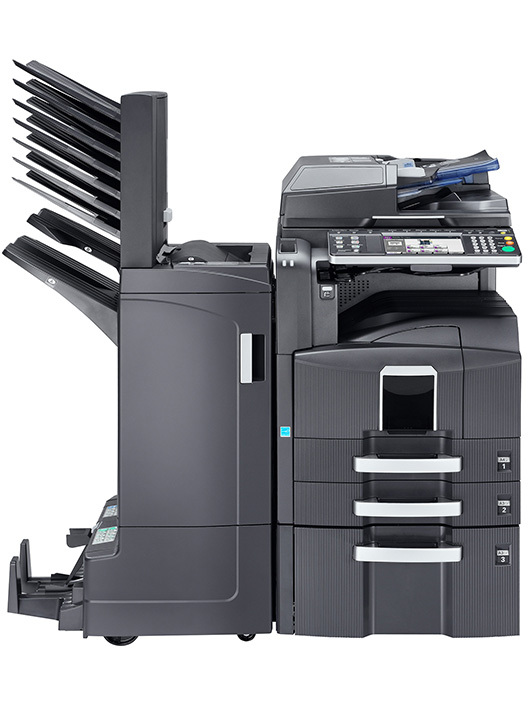 Key innovations include a sharp reduction in power consumption, and a particularly fast first-copy out time. The entire range features a standard 2 GB RAM, so no additional expansions are needed to control all the machine functions and options. The large 8.5″ colour touch panel provides an original and more intuitive user interface, with navigation similar to a smartphone. Data protection is of fundamental importance for many office activities. The new d-Copia 3500MF PLUS, d-Copia 4500MF PLUS and d-Copia 5500MF PLUS introduce new solutions to raise security and data confidentiality, both at a local level and for network operations. 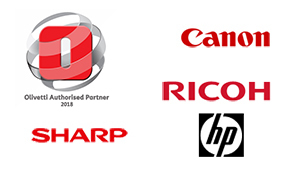 The models are compatible with the IEEE P2600 standard for security levels on office equipment. Cancellation of hard disk data by overwriting in compliance with the ISO/IEC 15408 standard is also extended to the special fax transceiver memory with the optional Data Security Kit (E). Recognition of USB memory sticks can be prohibited to prevent unauthorised data transfers from the MFP. The d-Copia 3500MF PLUS, d-Copia 4500MF PLUS and d-Copia 5500MF PLUS offer one of the most complete ranges of options on the market today. The result is high configuration flexibility, allowing you to “build” the product to suit your specific requirements. Paper capacity can be increased to 7,150 sheets, with paper weights ranging from 60 to 220 g/m2 via the paper cassettes (60 to 300g/m2 from the by-pass). A choice of two document feeders is available.